Rats in New York City carry fleas and other parasites capable of transmitting bubonic plague and other virulent diseases, a new study reports. For the study, scientists from Columbia and Cornell Universities collected a sample of 133 rats from across the city and analyzed more than 6,500 specimens of fleas, lice and mites the rats were harboring. The bugs they found included Oriental rat fleas, a type of flea that can transmit bubonic plague -- the bacterial illness known as the Black Death that wiped out millions of people in Europe during the Middle Ages. The good news is that the researchers found no evidence of plague bacteria itself. Without that, the rats and fleas are more of a nuisance than an actual threat. "If these rats carry fleas that could transmit the plague to people, then the pathogen itself is the only piece missing from the transmission cycle," study author Matthew Frye, an urban entomologist at Cornell University, said in press statement. Plague still occurs in the U.S., although it is exceedingly rare, with perhaps a dozen cases reported each year. According to the Centers for Disease Control and Prevention, cases are mostly spread by encounters with wild rodents such as prairie dogs, wood rats, mice, rabbits and squirrels in the Southwest, especially northern New Mexico, northern Arizona and southern Colorado. A handful of cases have also been seen in California, Oregon and other western states over the last four decades. The CDC says the last urban outbreak of plague in the U.S. occurred in Los Angeles in 1924-25. However, even though there have been no cases of illness the Northeast, a recent scientific sampling of bacteria found in the New York City subways found traces of partial DNA matching bubonic plague, along with other pathogens. Aside from the potential for transmitting plague, Oriental rat fleas can also carry other diseases. Some samples in the latest study were found to carry Bartonella bacteria, which can cause cat scratch disease, trench fever and Carron disease in humans. "These pathogens can cause a wide range of clinical syndromes, some severe," said study co-author Cadhla Firth, a research scientist at Columbia University's Center for Infection and Immunity. The researchers say the best way to protect ourselves from these potential infections is to keep the rat population under control. "Removing food and water and preventing access to shelter are key to knocking back rodent infestations," Frye said. Careful sanitation is also essential, he added. 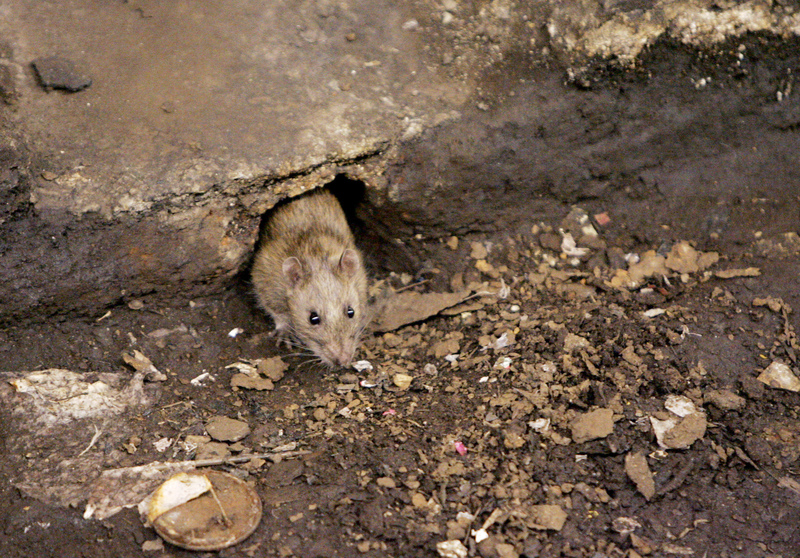 New York City has long been rumored to have as many rats as people -- a population of some 8 million. However, more recent data suggests that the actual number is not nearly so high. A study published last October estimated that perhaps 2 million rodents currently roam the Big Apple. Whatever the total number, anyone who's ridden the subways recently can confirm that the city's rat population appears to be quite healthy.